Display Top Holds Tiny Trinkets or Photos! 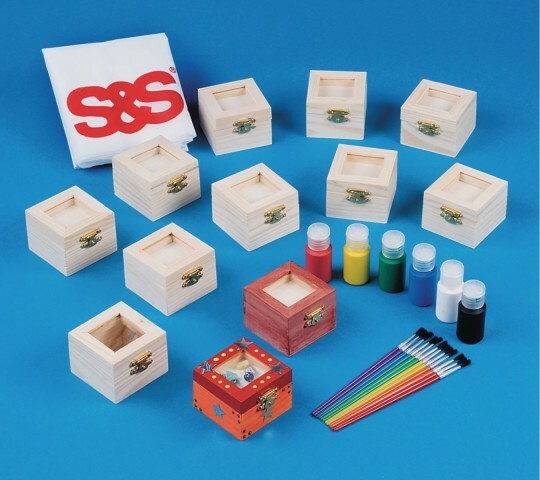 Includes Paint, Brushes and Instructions. 2-1/2" square with a 1-5/8" photo opening. A cute place to put tiny treasures! While we haven't used these yet in my program I must say I am happy with the quality in these. 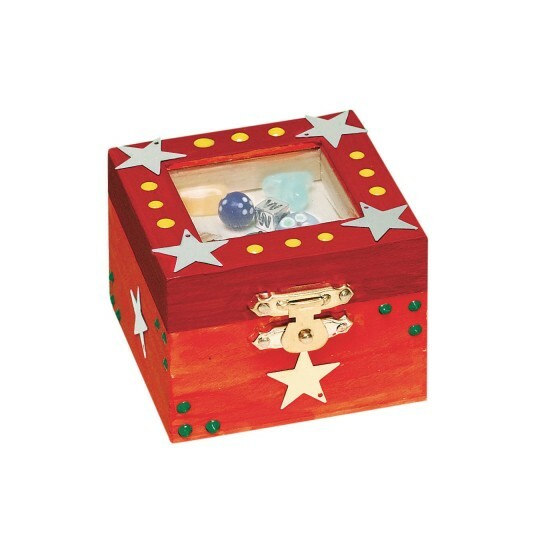 They are sturdy wooden boxes with a clear plastic window to see the treasures. I was surprised to see that the kit came with paint and paint plates. I am looking forward to doing this with my after school crowd. We haven't had a chance to use these yet they are for a craft in the spring but I'm super excited. I love that the kids get to personalize them and that they will get to have a little keepsake or make a gift for a friend/family member.